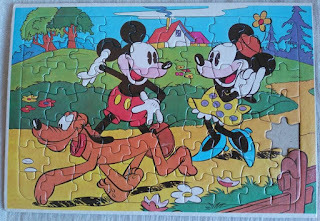 This Turkish puzzle itself is not vintage, dating from my childhood, that is the 1970s, but the illustration it features appears to date from the late 1930's, or at least modeled from an illustration dating from that era, as the eyes of Mickey (and Minnie) do not have pupils. 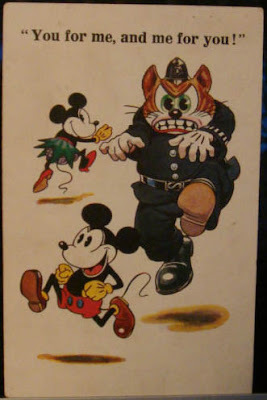 An online image search revealed that the same illustration has also been used on a postal card printed in France. 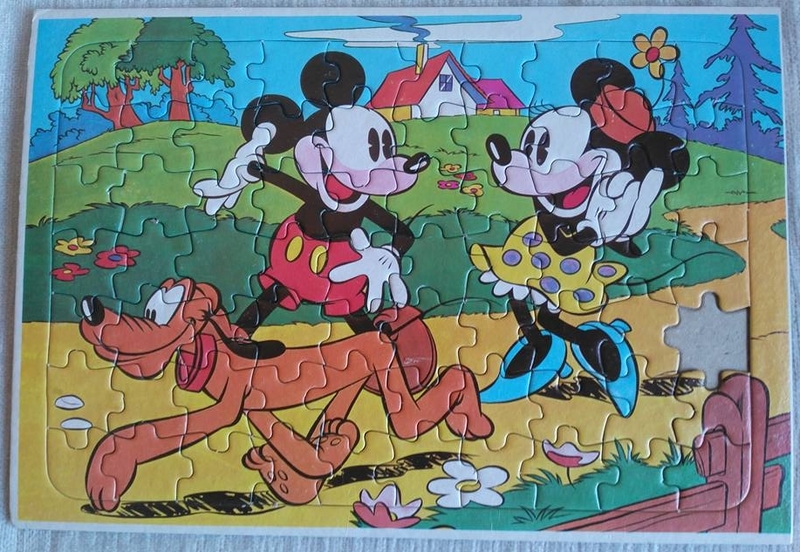 The Turkish puzzle manufacturer might have taken the illustration from that card. Last year, I had posted in this blog an image of a newspaper ad promoting the 1938 premiere of Snow White and the Seven Dwarves (1937) in Turkey and the above scan of a flyer (?) promoting the same premiere was shared on facebook a short while ago. 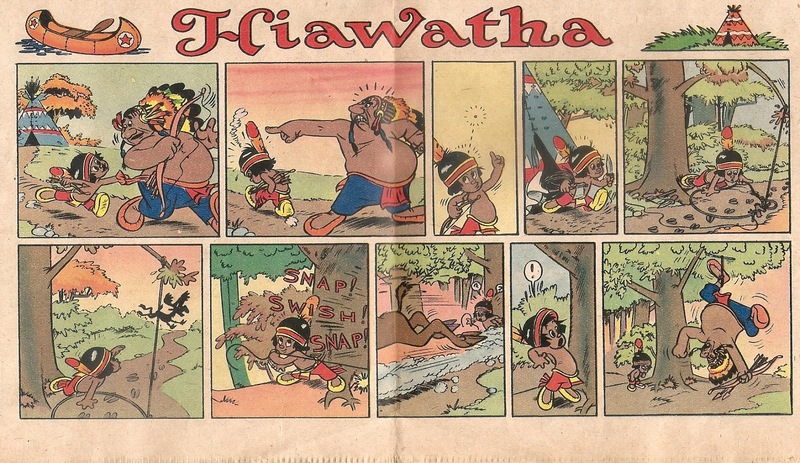 In the previous entry in this blog, I had posted about British-made Little Hiawatha strips published in Britain's Mickey Mouse Weekly in 1941. Recently, I came across the above two-row strip published in a issue of the bi-weekly Mickey Mouse (the successor to MMW) dated March 20th, 1948. At first glance, it looks like an American Sunday, but going over all Little Hiawatha Sundays yielded no corresponding Sunday, so it must be a British production. 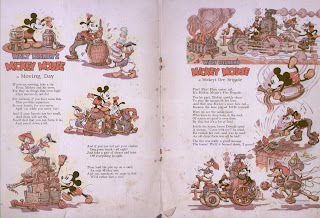 The most likely candidate for the art is veteran MMW artist Basil Reynolds who had returned to MM around those times and began making Disneyic material for the magazine. 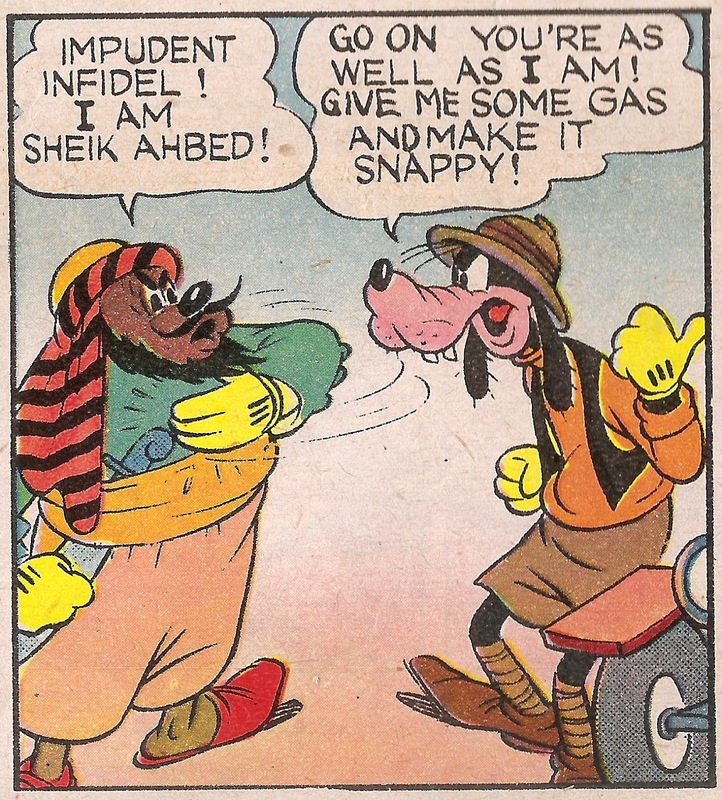 Goofy's remarks to an Arabic sheik in this panel from a Sunday newspaper comics from 1940 is oddly emblemetic of Westerns powers' approach to the Middle East!.. 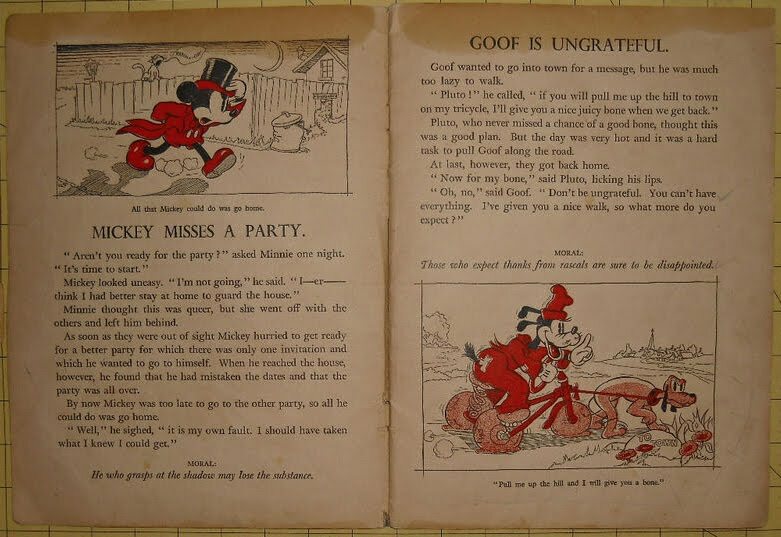 Furthermore, when Mickey and Goofy crash their car as the sheik chases them away, they return to outright steal a camel from him..
'The Photographic Expedition' was scripted by Merrill de Marris (1898-1948) who scripted many Mickey Mouse Sunday and daily strips, as well as some non-Mickey Disney Sundays, from 1933 till 1942. 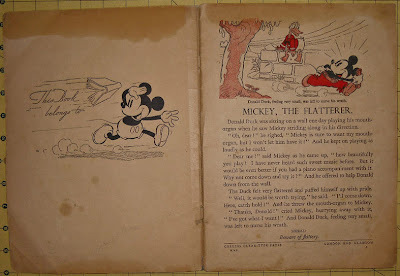 Among these are the seminal Phantom Blot continuity from 1939, but his 'An Education for Thursday' daily continuity from 1940 is also very white-supremacist. 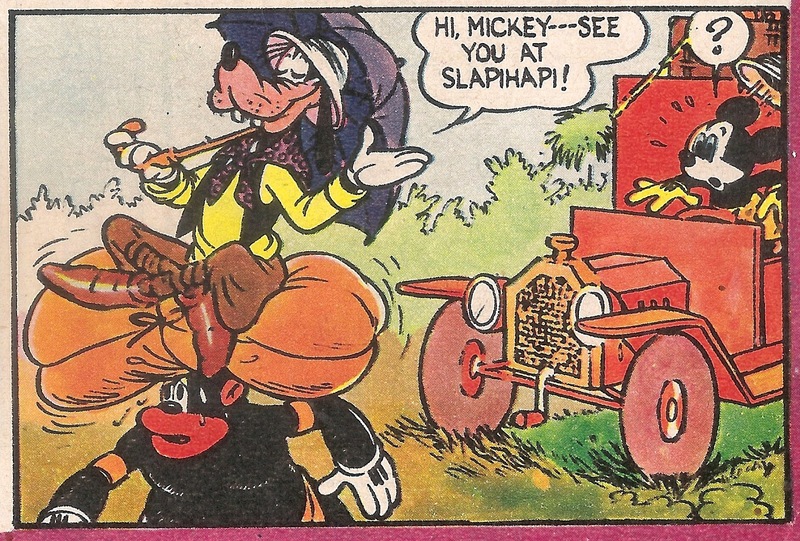 The art in 'The Photographic Expedition', by the way, is by Manuel Gonzales, who had picked up Mickey Mouse Sundays from Floyd Gottfredson in 1938. 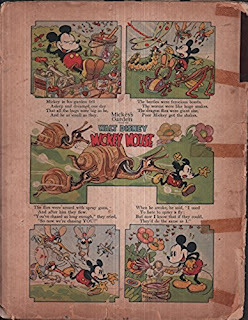 The scans in this post are from Britain's Mickey Mouse Weekly; 'The Photographic Expedition' has never been reprinted in the US outside of its run in newspapers. 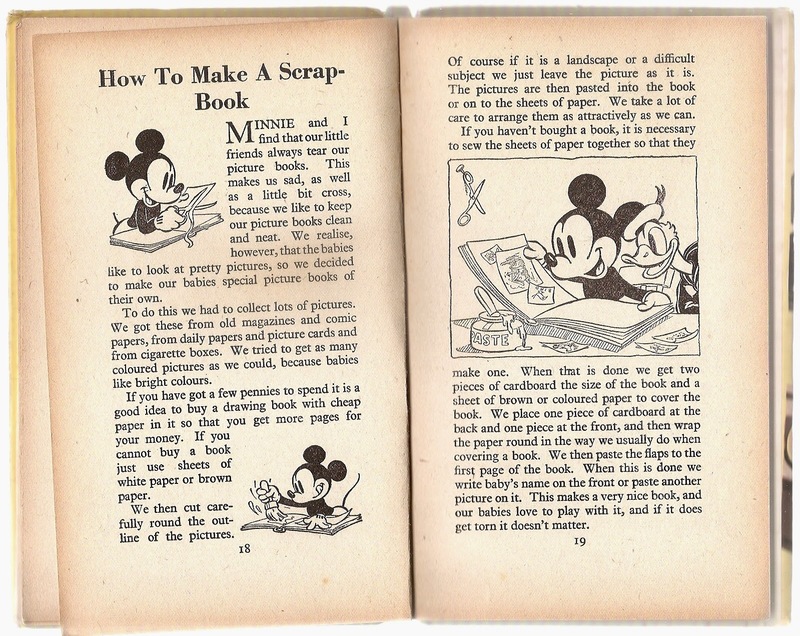 In 1938, Britain's Collin's Clear Type Press, one of the two leading publishers of Disney books in the UK in the pre-war era, began publishing Donald Duck annuals, modeled on the Mickey Mouse annuals which were being published by the rival British Disney publisher, Dean, since 1930. 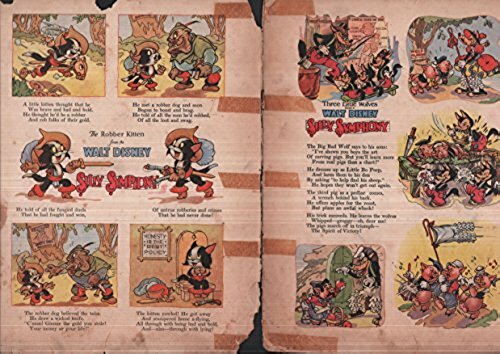 These early annuals of the pre-war (and war-time) are very thick (100+ pages) books, compromising illustrated stories, comics and games. Actually, none of the early annuals have printed dates, so dating them is sometimes tricky and since esp. 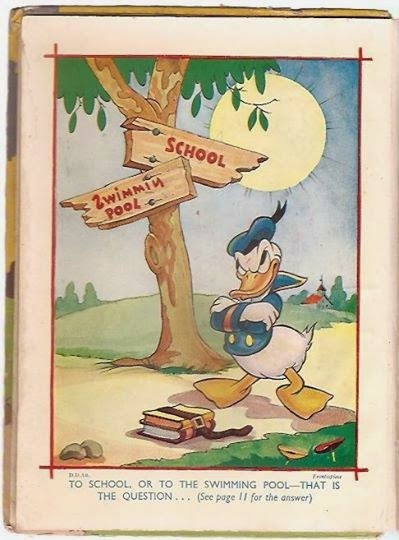 the early Donald Duck annuals are rare and obscure, there is little, if any info, on them. 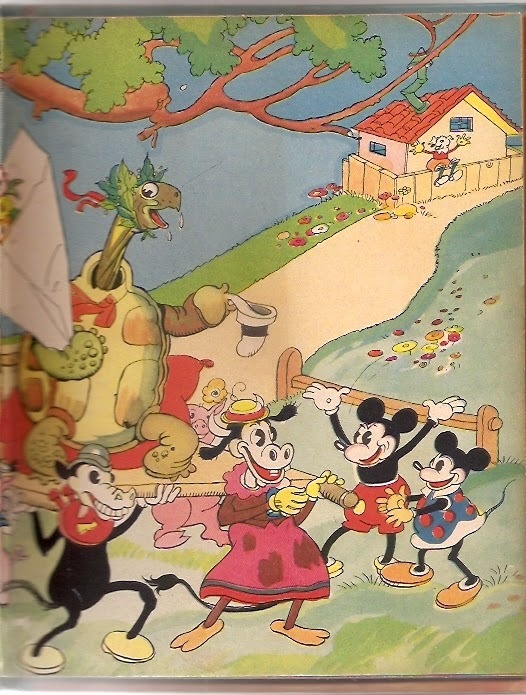 This one has ads for the Snow White books from the same publisher which indicate that it is indeed from 1938, as online sellers date it. 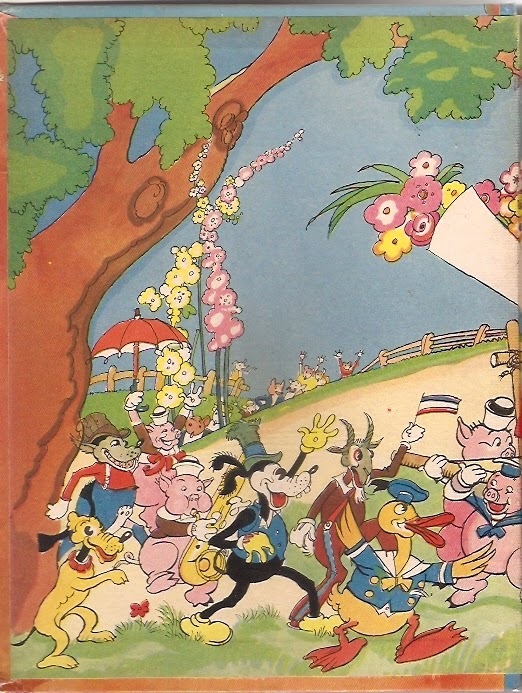 Below is the cover of the 1939 annual. 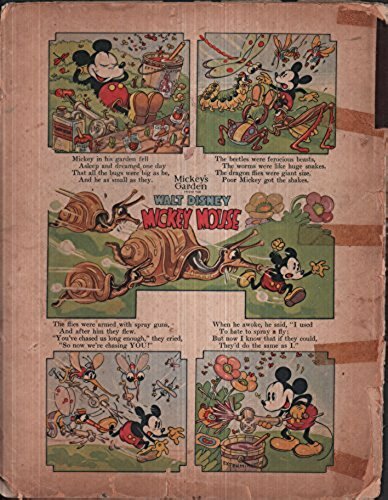 These first two annuals are relatively less rare than the rest, perhaps they had a higher print run in the pre-war era as opposed to the dire economic conditions of the war-time years. 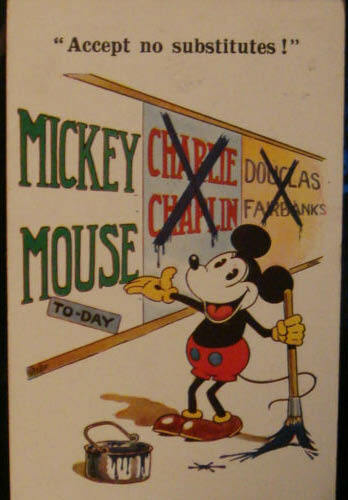 The below one is also one of the rarest; actually, I had never seen it until last month when it appeared on ebay (and sold for at the affordable opening price of 15 pounds sterling; I was naturally so frustrated that I missed it!). 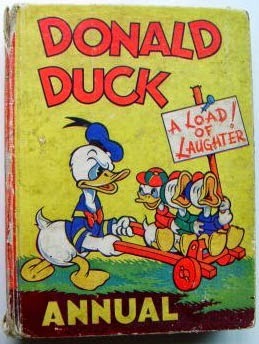 It's listed as the 1942 annual, so I now figure that the obscure 'Loads of Laughter' annual must be the 1940 one. 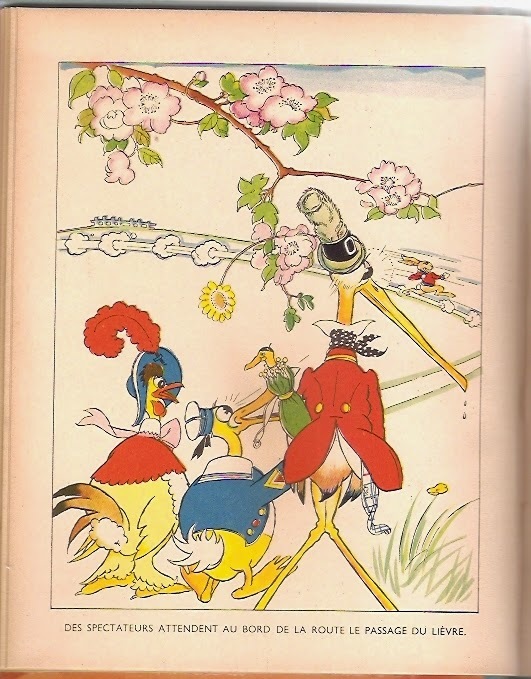 The below book is listed as the 1943 annual. 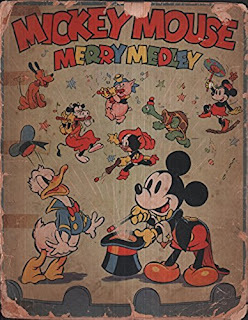 Some editions do not carry the word "Annual" on the cover, but others do. 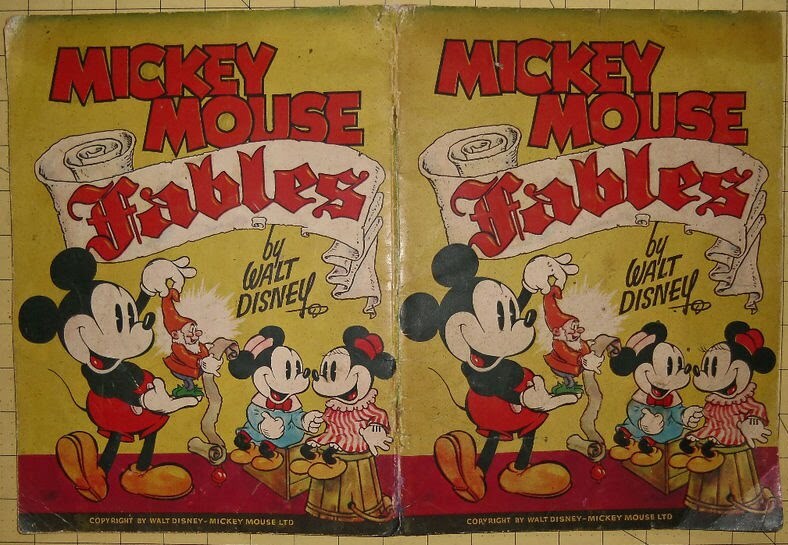 The 1942 and the 1943 annuals are not as brick-thick as the earlier annuals. 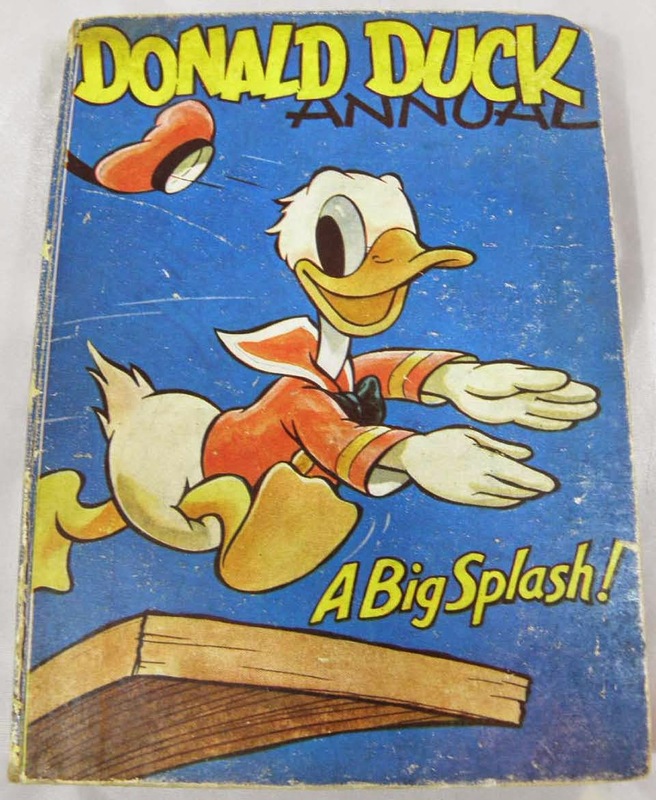 This is the last known British Donald Duck annual in the war-time era, but Collins would publish other annnual-like Donald Duck books around those years. The first-ever Donald Duck book was published in the US in 1935 by Whitman Publishing Co.; it was an illustrated story book with color illustrations (a hardcover edition of this book was also published the next year). 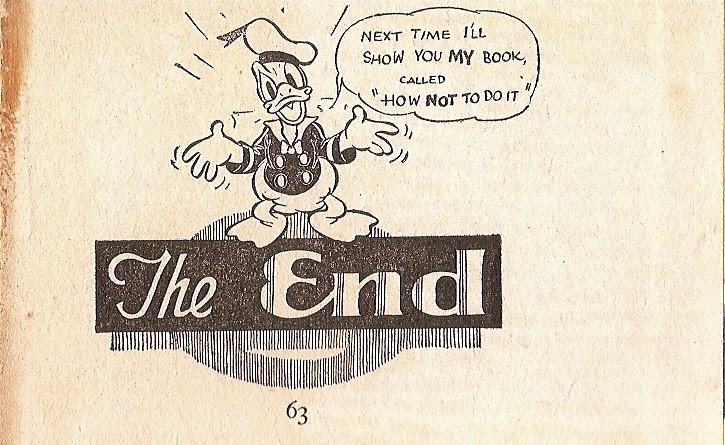 In 1937, Donald Duck titles began to be included in the Big Little Books series. 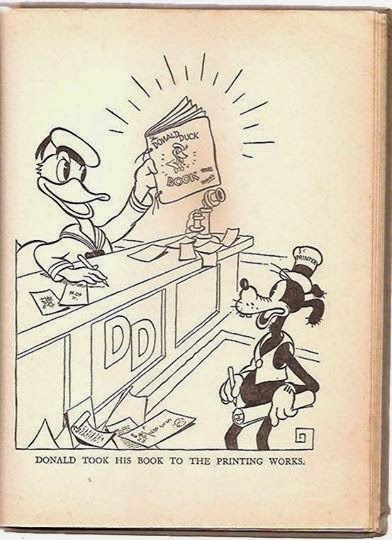 Around this time, the first-ever Donald Duck book outside the US came out from Britain's Birn Brothers Ltd: The Donald Duck Book. 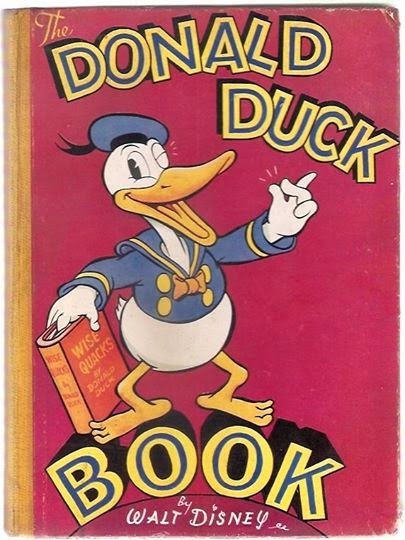 This hardcover and thick book (close to 100 pages) is undated, but I've seen an online seller dating it at 1937, based on a dated inscription on the copy they have; the long-beaked figure of Donald is in uniformity with this dating. 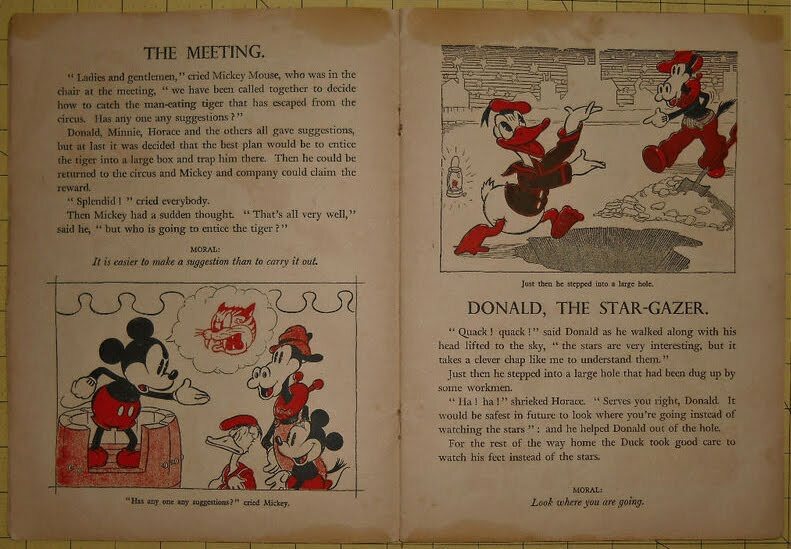 The Donald Duck Book is also an illustrated story book, with one color insert at the beginning and several b&w illustrations throughout, but its narrative is rather exceptional: The story recounted in the book is the (fictional) account of the creation of the same book! 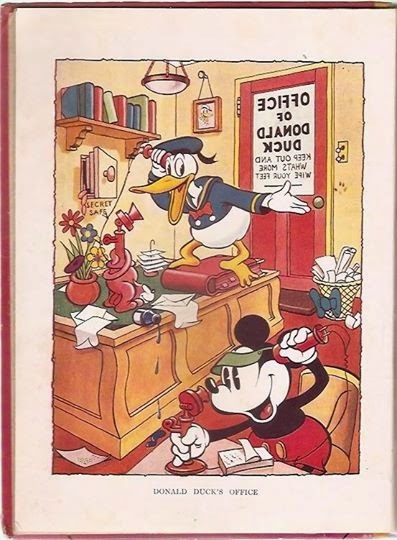 The framing story starts with Donald Duck opening an office where he would write and edit The Donald Duck Book... Mickey and other pals are around to help him. The book progresses as they come out with new ideas to include in the book and each of those items -stories, poems, comics, games, etc- are presented in the book accordingly; the comics, or "pictorial stories" as they are called here, are actually re-formatted Sunday strips of American origin from 1935, but the rest of the material in The Donald Duck Book are British productions. The framing story ends with an account of the book being printed and put on sale! 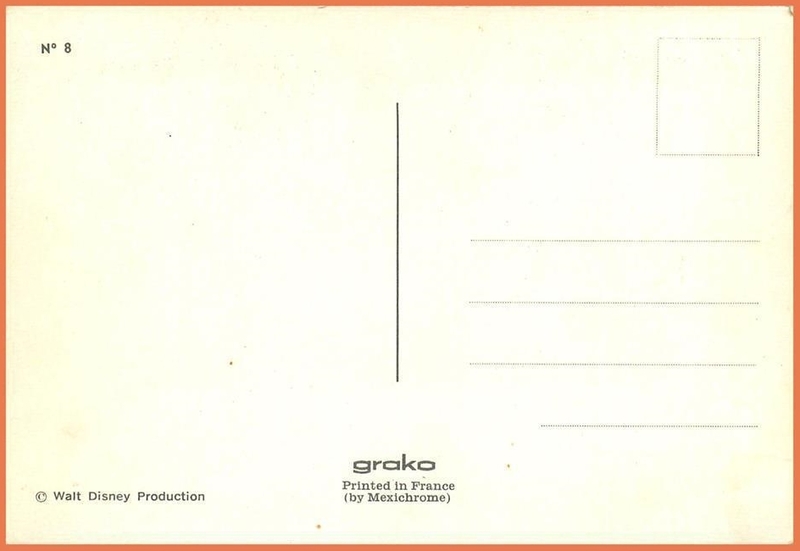 Above scan is of the cover of the no. 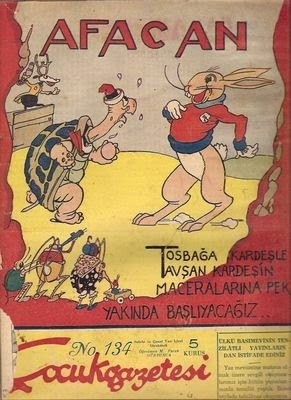 14 (dated Sept. 12th, 1936) of Turkish weekly children's magazine Gelincik. 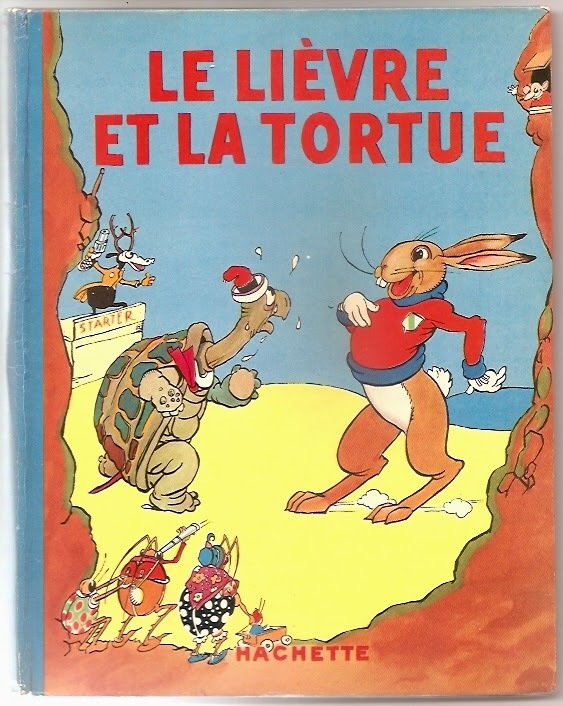 The cover illustration signed by Orhan Tolon (1912-2011), Turkey's pioneer comics artist, is among the earliest ever cover illustrations around the world (incl. the US) featuring Donald Duck as the main character. 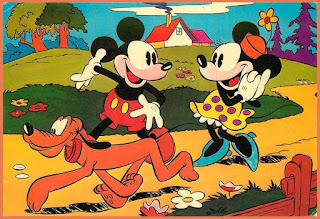 In the speech balloon, Donald rejoices that he is the winner of the race. 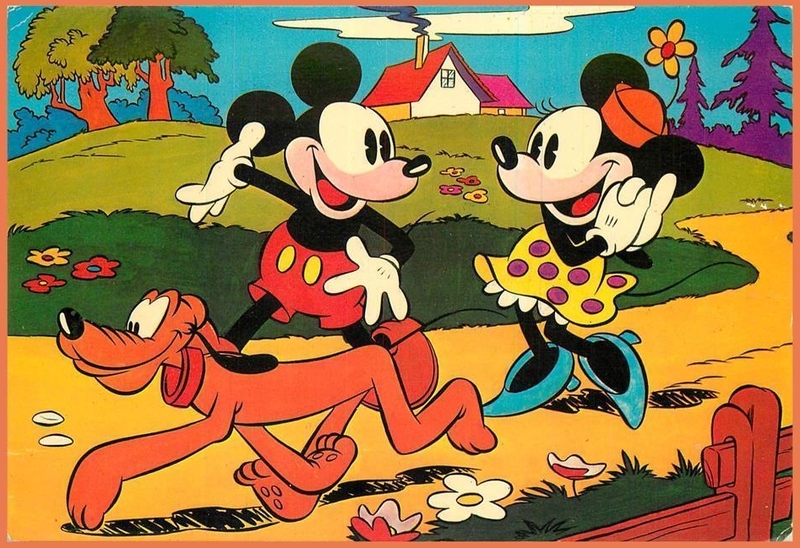 The runner-up of the race may be, or is modeled on, Max the Hare from the Disney cartoon short The Tortoise and the Hare (1935) in which Donald does not appear. 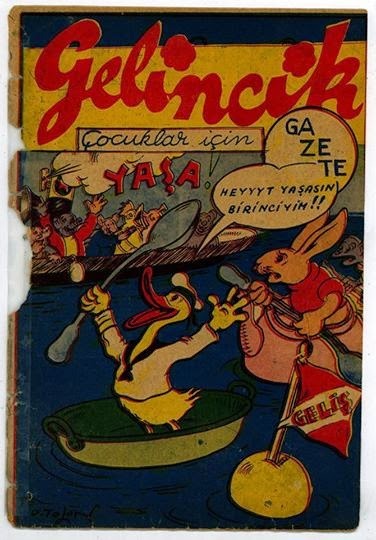 Gelincik is one of the rarest of Turkish children's magazines from the 1930's. I have only two very tattered issues in my collection and haven't seen any other sample anywhere else. It was apparently a short-lived publication, which is rather surprising given that other publications from its publisher spanned over a decade. 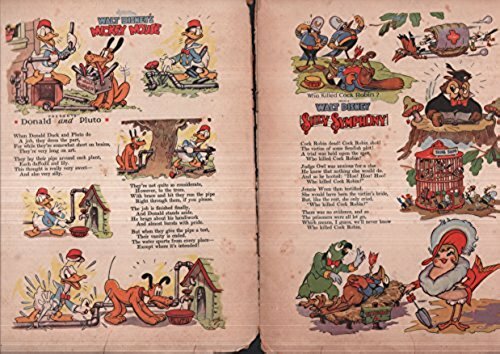 Gelincik was published by Mehmet Gürtunca's Ülkü Basımevi (Ülkü Publishing House), Turkey's leading publisher of children's magazines in the 1930s. 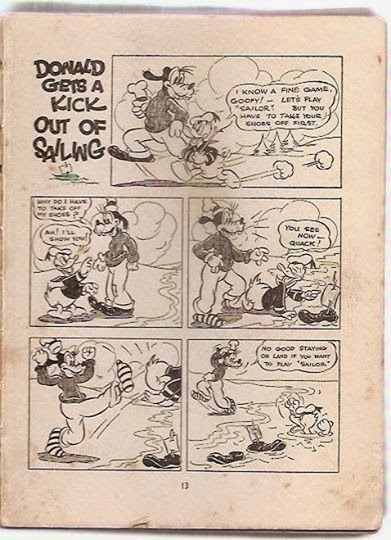 Ülkü's other children's weeklies had frequently carried Disney comics, of both American and British origin; actually, Disney comics had first been introduced to Turkey in 1932 in the first issue of Ülkü's Afacan weekly. It was also in Afacan where Tolon first started doing comics work. 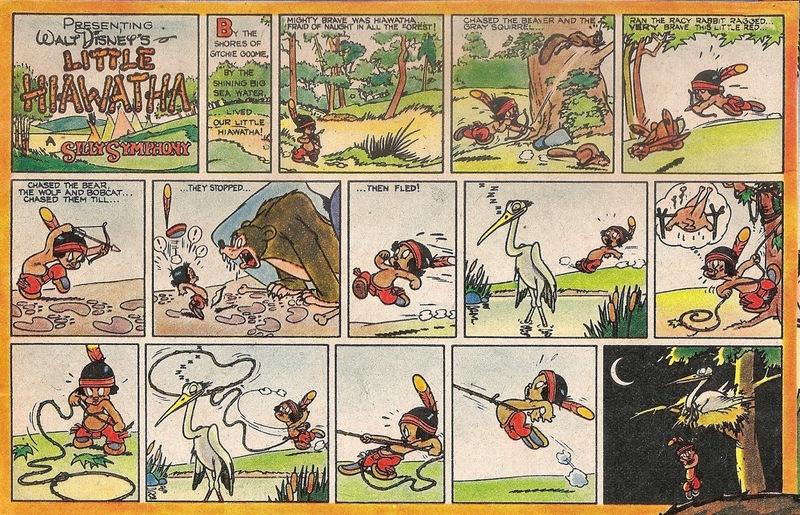 Throughout the 1930's, he was the sole Turkish artist making comics. 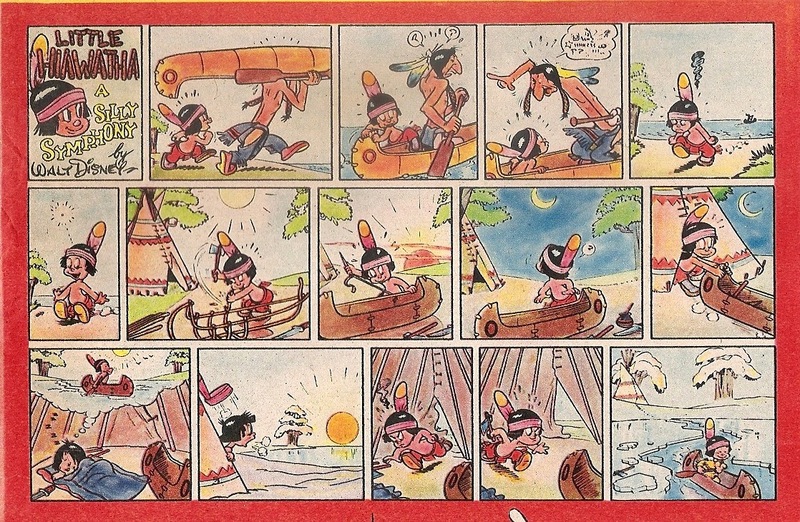 In the mid-1920s, one or two earlier anonymous Turkish artists appear to have tried their hand in comics, but Tolon is the first-ever Turkish citizen to sign his name in this medium. 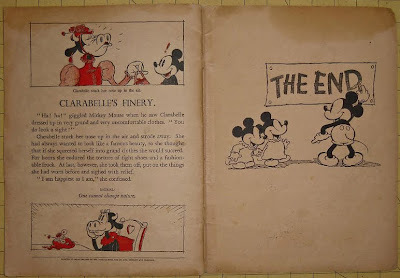 June 6th, 1934, the date The Wise Little Hen, the first movie in which Donald Duck appeared on screen, was released is regarded as the 'official' birthday of Donald Duck, even though an earlier incarnation of him had appeared in print as early as 1931; see this entry in this blog for that. 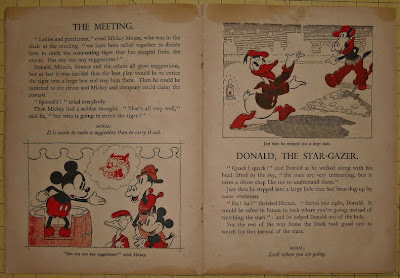 To commemorate his birthday, I intend to post about very rare and hence very obscure pre-war items about Donald in this blog this week, so stay tuned in. 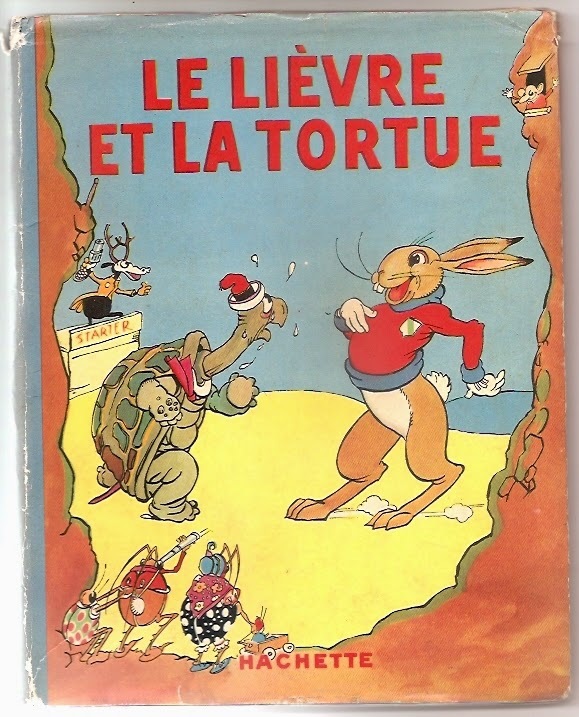 FRENCH TORTOISE AND THE HARE BOOK FROM 1935 WITH DONALD DUCK! 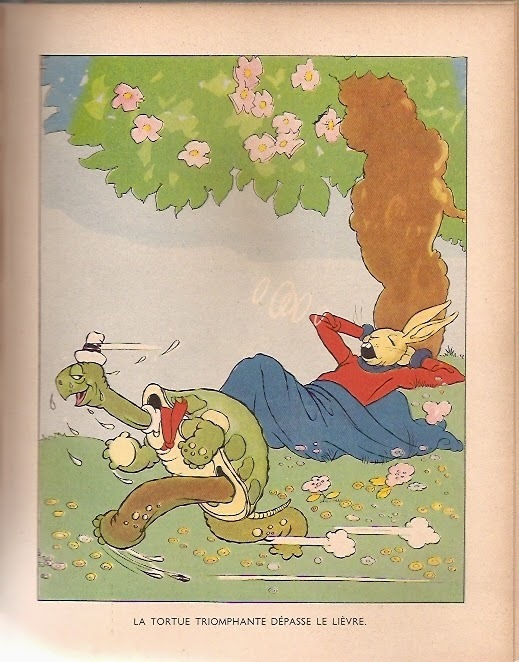 Beyond the addition of these characters in the illustrations, the book is largely faithful to the plot of the cartoon in terms of story. 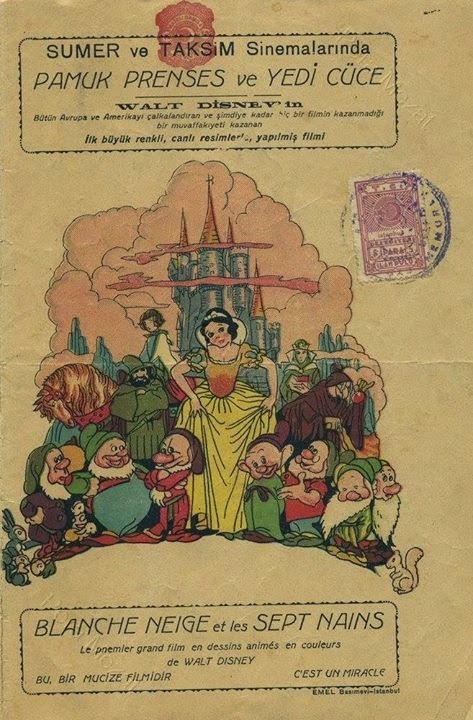 The above ad, published in the daily Turkish newspaper Cumhuriyet on December 16th, 1938, announces the upcoming Turkish premier of Snow White and the Seven Dwarfs (1937) on December 21st in two Turkish cinemas, Taksim and Sümer. The ad promotes Pamuk Prenses ve 7 Cüce as "the greatest movie of the world currently being screened in 60,000 cinemas." One interesting information we learn from this ad is that the prints imported to Turkey were dubbed in French and hence apparently came to Turkey via France. Taksim and Sümer were located in central Istanbul with a walking distance from each other, the former on the main city square and the latter on the main boulevard leading from there. I have not yet been able to establish how many weeks Pamuk Prenses ve 7 Cüce played in these cinemas, but on January 11th, 1939, it began to be screened in the Ferah cinema in the Şehzadebaşı district of the 'old city' region of Istanbul. On February 1st, it was released in the Tayyare cinema in İzmir. In Novenber, it re-appeared in Istanbul, this time in the Akın cinema in the central Pangaltı district. There were further screenings in Istanbul in 1940 and 1941. 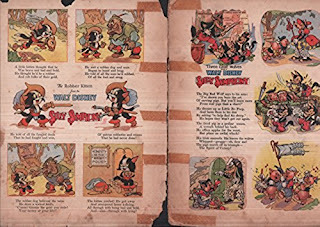 Prior to the theatrical debut, Disney's Snow White had appeared in print in Turkey initially as a serialization of the US Sunday newspaper strips in the Turkish children's weekly magazine Yavrutürk in late 1938 and as Turkish editions of a series of illustrated story books published in early 1939. 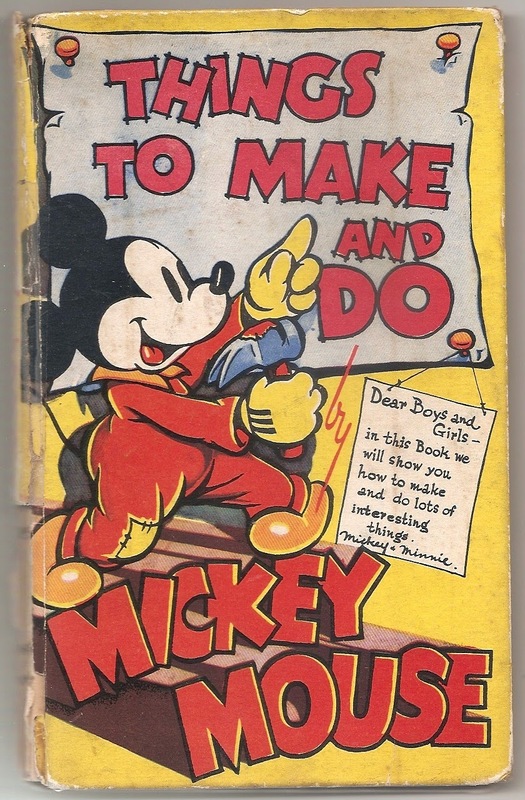 It's neither Disney nor pre-war, but perhaps some of you might be interested in.. 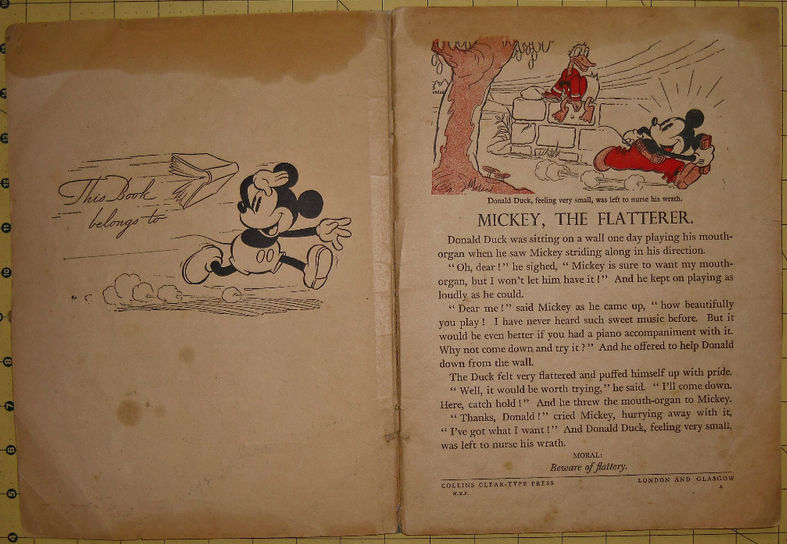 This vintage British Disney book by the Collins Clear Type Press titled Mickey Mouse Fables was recently sold on ebay for the winning bid of 54.5 pounds. The seller estimated its date as "circa 1934", an estimate which is undoubtedly off the mark by several years as the renditions of Donald Duck does not feature the long and narrow beak he sported in its early appearances in 1934 and in the subsequent few years. 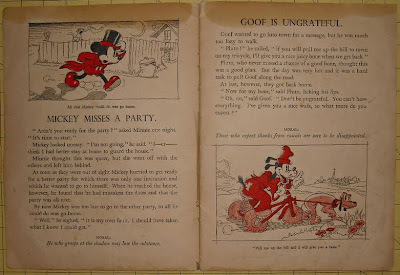 I would estimate the book to be from the late 1930s. 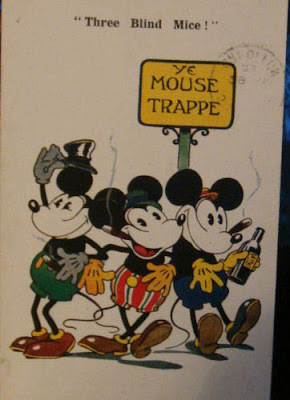 However, as far as I am concerned, a more desirable one was this "Milton Post Card" issued by the London-based Woolstone Bros. which features triple Mickeys, all smoking and one apparently even drinking a liqour!!.. 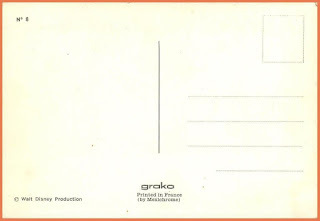 This particular card, whose faded postoffice stamp on the reverse appears to carry a date from 1932, was sold for the winning bid of 10 pounds. 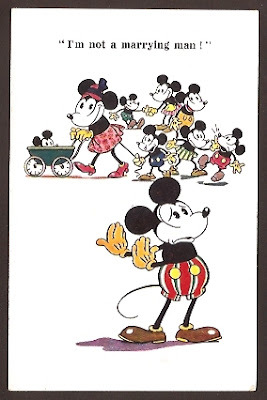 Woolstone's "Milton" postcards are probably the earliest Mickey Mouse cards in the world, I'd earlier seen one dated from 1930. I bought one myself and will post a scan when I receive it.